Google & Apple: Final Nails in the NFC Coffin? Formerly the poster child of next generation mobile commerce, near-field communication (NFC) technology has fallen from grace. Product launches from Google, Apple and other industry heavyweights have shown that in the future of payments, NFC plays only a supporting role. In its place, new technologies are proving more convenient, secure and sophisticated – offering features that are not about the transaction itself, but rather the customer experience. We have pondered the future of NFC in the past, and questioned its potential to be a silver bullet for mobile payments. In this past Mondato article we observed that NFC has failed to take off as expected, and detailed some challenges hindering widespread use. We then wrote about innovative technologies that could usurp the NFC throne, from secure visual codes to sound-based authentication. Recent announcements from consumer tech giants such as Apple and Google seem to further suggest the downfall of NFC – with new technologies offering an enhanced experience for both consumers and retailers. A long-time champion of NFC, Google Wallet recently dropped the requirement that phones have to include NFC technology to make Google Wallet payments at the point-of-sale. This means that Google Wallet can be used on iPhones for the first time, breaking down a key barrier to adoption of the platform (TechCrunch). In fact, Google Wallet launched last week its first app for iPhone, iPad and iPod Touch, at least for users in the U.S. (Venture Beat). According to Google Wallet Director of Product Management, Peter Hazlehurst, in a FierceMobile article, users can continue to use NFC phones to tap-and-pay at hundreds of thousands of US locations. But this announcement signals that even Google has lost faith in the staying power of NFC, and is diversifying options to reach the huge untapped market that does not have NFC-enabled devices. The move also infuses new hope in the future of Google Wallet, which has been harshly criticized for lack of consumer adoption. Despite much speculation that the new iPhone would have NFC capabilities, the recently-unveiled iPhones 5s and 5c, along with the new iOS 7 operating system, suggest that Apple has dropped the idea of an NFC phone once and for all. 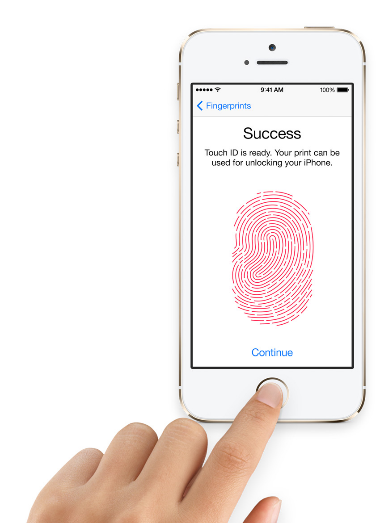 Rather, the iPhone 5S and iOS 7 include two new technologies that have implications for mobile commerce: the iBeacon and the TouchID fingerprint sensor. iBeacon, specifically, uses Bluetooth Low Energy (BLE) to communicate with small wireless sensors placed inside any physical space, such as a store. Via this channel, retailers can send location-specific information to shoppers, such as customized deals or information (GigaOm). According to an analysis in Seeking Alpha, “iBeacons are the final sign that Apple has rejected NFC.” (Read more about BLE and iBeacon in the next article). A final clear signal that NFC is not the future of mobile payments: NFC-based digital wallet Isis continues to struggle with both consumer adoption and maintenance of key partnerships. Isis, a joint venture between AT&T, Verizon and T-Mobile, was trialed in Salt Lake City and Austin last year, but has yet to experience a boom in consumer usage. Perhaps for this reason, one of Isis’ three founding credit card partners – Capital One – announced in mid-September that it was pulling out of the pilot testing (The Verge). While other key partners are still on board, and testing is ongoing in both cities, this pull-out is not a positive sign for the still-nascent company or for NFC more broadly. With these recent developments, it seems the mobile payments industry is continuing its shift from an NFC-centric paradigm to one that embraces other technologies, such as BLE. Whether these technologies replace NFC or coexist peacefully is yet to be seen. But one thing is for sure: NFC is starting to seem less like a game-changer and more like a dinosaur on the verge of extinction. Some companies may be hesitant to drop NFC altogether, as it still has significant security advantages, and a large amount of investment has been made towards developing NFC infrastructure. However, the technology has certainly fallen from the forefront, and is now only one of many innovative m-Payment technologies.